Today’s vast technological world has a heavy reliance on the battery. Whether it is for powering up a smartphone or an electric car, it appears that batteries have dominance in our everyday lives. Replacing batteries, however, can be a dreaded pain for many. It is widely accepted that Nickel-Metal Hydride (NiMH) Batteries, for example, can only be recharged about 500-1000 times each, which can eventually become a slight trouble for the average person. Sophomore Halim Mavrakis, who took A+ IT Essentials last year at the Columbia Area Career Center (CACC), elaborated on this statistic. “A problem with batteries currently used in portable devices is that they can only be recharged up to 500 times each before their battery capacity becomes a lot lower than it originally was,” sophomore Halim Mavrakis, who took A+ IT Essentials last year at the Columbia Area Career Center (CACC), said. The good news is that anyone who finds it inconvenient to constantly replace batteries no longer needs to fret as there is finally a potential solution to this issue. This month, researchers at the University of California, Irvine, have invented batteries which are based off of nanowires, metal wires no wider than a few nanometers and possess extremely powerful conductivity. Scientists have concluded that this battery is capable of recharging hundreds of thousands of times, which could potentially solve battery charging issues in the near future. Although A+ IT Essentials teacher David Hopkins agrees that this recent invention is a breakthrough in battery research, he still believes that there are currently too many factors to accurately predict if it could be successfully implemented into the modern technological world. While sophomore Anna Inslee is excited for the new invention, she believes it would mostly benefit consumers, not necessarily technological businesses and corporations. She believes that such organizations, especially large ones, would likely lose revenue as consumers would no longer feel the need to spend money on new batteries as often as they currently do. Currently, the worldwide battery market is about $50 billion. 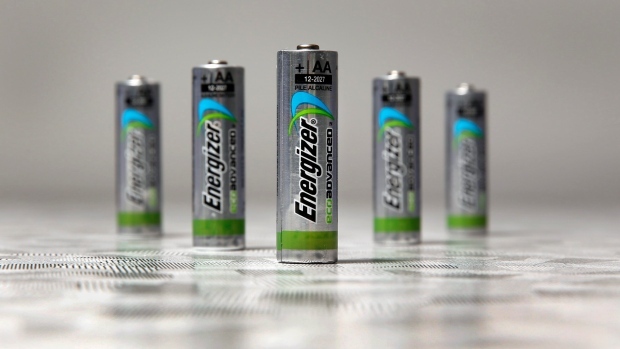 Nonetheless, these batteries, if scaled down for implementation into the modern world, could mean something revolutionary for today’s technology. Its vast lore, which includes cell phones, gaming systems, televisions, cars, aircraft, cameras and other treasured items, heavily rely on the usage of the battery to successfully function. It can thus be assumed that they could positively revolutionize the world of technology forever. Although Hopkins does believe that there are still too many factors to determine if they could be successfully incorporated into technology, he is most certainly excited for what they could hold in the near future. Do you believe that this battery could open a window of opportunity for technology in the future? Leave a comment below.